Skin boosters, also known as ‘mesotherapy’, are a fantastic treatment for creating a radiant, glowing complexion. The procedure involves multiple micro-injections of vitamins, minerals and hyaluronic acid, which boost collagen production and replace vital nutrients in the skin that are lost through ageing and everyday living. This creates healthier, plumper and more hydrated skin. Patients are often delighted with the natural results and we have many people who visit the clinic regularly for this treatment. Skin boosters are a safe, natural way to nourish and rejuvenate your skin. They can be used on the face, neck, décolleté and hands, as well as other areas of the body if required. This treatment is also effective at targeting cellulite, by stimulating blood circulation and fat breakdown in specific areas. We usually recommend a course of 3-6 mesotherapy injections, dependent on the treatment area. Skin boosters can also be combined with other procedures to achieve optimum results. What happens during mesotherapy treatment? 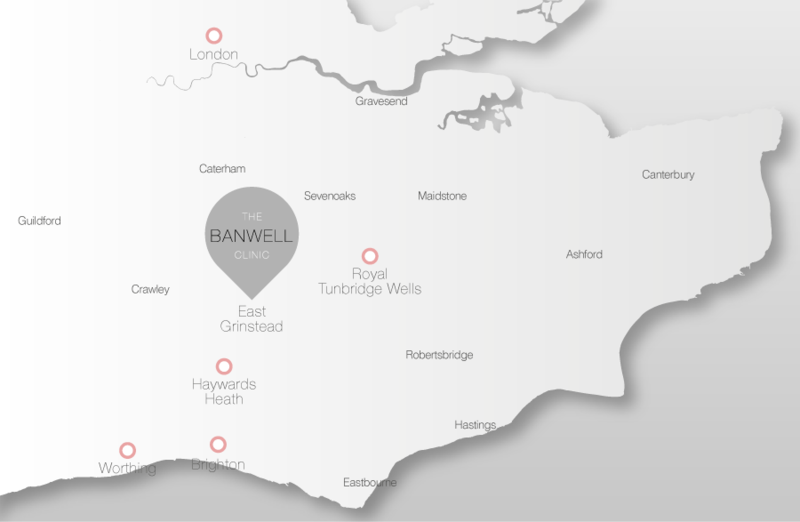 You will first undergo a consultation with one of The Banwell Clinic team to discuss the procedure and ask any questions. During the treatment tiny amounts of natural extracts, vitamins and hyaluronic acid will be injected into your skin using a very fine needle. This will stimulate cell renewal and the production of collagen and elastin deep down in the dermis. Skin boosters brighten and rejuvenate the skin creating a radiant, youthful glow. They can also be used to smooth and reduce cellulite in specific areas and to reduce the appearance of stretch marks and scarring. A series of treatments is recommended to achieve the best results. The needle used is incredibly fine and most patients report only a slight pinching or burning sensation. However, we can use an anaesthetic cream to minimise this. Are there any side effects of mesotherapy? You may experience slight bruising or tenderness following your treatment, but this should subside quickly, leaving you with healthier, plumper and more hydrated skin.